But: "We're never going to be open world." Uncharted 3 was unveiled with a teaser trailer that showed series star Nathan Drake venturing out into an expansive desert following an airplane crash – a setting some took to indicate that the game will feature open-world elements. Not so, game director Justin Richmond told Eurogamer in an interview conducted in the US this month. Well, not quite. "We're not an open-world game," he said. "We're never going to be an open-world game - just because that's not what we're interested in making." But, despite Richmond's assertion, Drake's Deception will feel more open than any game in Naughty Dog's illustrious series. "It's still up in the air how much gameplay we're going to let you wander around," he teased. "It will probably feel more open than the other games have. For sure. "But we're never going to let you just ride a thousand miles off into the middle of nowhere. Ultimately the feel we want to get is, yeah, you're lost in the desert. So it needs to feel like that. But it's not going to feel open-world." Which begs the question: how will the game prevent the player from continually walking in a straight line in the wrong direction in that huge desert? What will happen if the player strays too far out of the desert's bounds? The answer is, well, a secret. "When we said 'desert' the first thing all the game designers said was, 'Well, crap. How are we going to rein you in?' Richmond said. "We sent guys to the desert and looked at desert reference and realised that the desert actually does have some natural barriers. There are dunes that are impossible to climb. We sent a couple of our art guys out there and they were trying to climb these dunes and the sand was just sliding. We get away with some of that kind of stuff. "But at some point we have to do something. And I don't want to say what we did because I think we came up with a really cool solution. But we try not to kill you." Little is known about Uncharted 3, but scant plot details have emerged. "In his search for the fabled 'Atlantis of the Sands', Nathan Drake and longtime friend and mentor Victor Sullivan set off on a daring trek into the heart of the Arabian Desert," Naughty Dog community strategist Arne Meyer revealed earlier this month. "But when terrible secrets of this lost city are uncovered, their journey becomes a desperate bid for survival that will force Drake to confront his deepest fears." 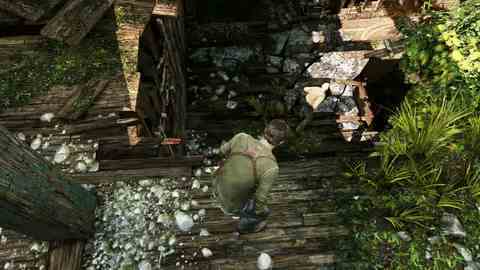 We visited Naughty Dog recently to learn more about the game's systems and the developer's ideas. 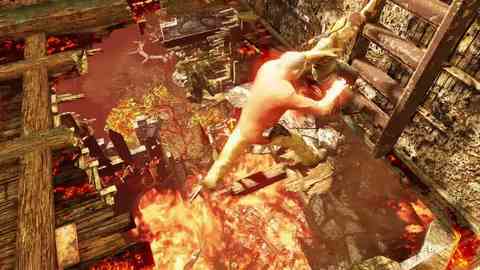 Check out our Uncharted 3: Drake's Deception preview for a lot more background. You can also check out two new gameplay footage sequences released today, embedded below.